what would be the restrictions of Octopus? It seems that you projects are very oriented to .NET environment. Got it. Thanks a lot for the answer Ian. VSTS comes with it’s release management. In that case does *”RM – high pricing! 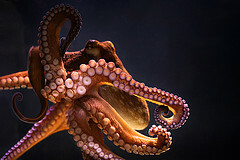 Octopus – simple and very affordable” still hold good. This presentation is over 4 years old. Pricing has changed for both VSTS RM as well as Octopus and – to add to the mix of products, Octopus Cloud service is coming some time this year. So pricing-wise, I would not rely on this slide deck being accurate for either Octopus and VSTS.